Is it Legal to Take a Photo of Someone Else? It comes as no surprise that since they first came out on the market, camera phones have been the source of both convenience and amusement. Prior to camera phones, we had to walk around with digital cameras in our purses or pockets. Since the technology came out, we can simply enjoy spontaneous photo opportunities without needing an additional gadget. Despite all of their convenience as well as easy access, camera phones can also become a problem. The increased discreteness of these cameras are enabling people to use them for more candid shots. For this reason, the list of places where such cameras are not welcomed is growing across the nation. Thanks to the innovation of camera phones, voyeurism has become innovative, as well. News networks across the country have reported incidents where camera phones were used to watch unsuspecting people undress themselves in dressing rooms, locker rooms, and tanning salons. Notably, these individuals are having their images taken without permission and often are unaware that their privacy has been violated. Thereafter, these images are posted on the internet; unfortunately, websites specific to pornographic mobile blogging (moblog) are created just for this sole purpose. Nevada law addresses this issue under its invasion of privacy law through an intrusion claim. A victim may file an intrusion claim if he or she has experienced the nonconsensual publication of private intimate images that were captured without the victim’s knowledge. Under this tort, Nevada law requires the victim allege an intentional intrusion, whether physical or otherwise on the solitude or seclusion of another that would be highly offensive to a reasonable person, and causation and damages. When analyzing an intrusion claim and whether or not the specific act is “highly offensive,” Nevada courts will consider the degree, context, conduct, and circumstances surrounding the intrusion. A court will also consider the intruder’s objectives, the setting in which he or she intrudes, and the expectation of privacy of those who were victimized. There are several defenses that may be put forth by someone accused of an invasion of privacy and intrusion claim. Common Nevada defenses include that the truths or images revealed were not privileged, victim consented to the invasion of privacy and the accused’s intrusion did not exceed the scope of the consent; or the accused was privileged to invade the victim’s privacy. Of note, invasion of privacy and intrusion cases tend to be more difficult to win for a public figure as opposed to a private citizen. In short, you should not take photos of others without their consent. This is particularly true if you are taking intimate images of the unsuspecting victims. 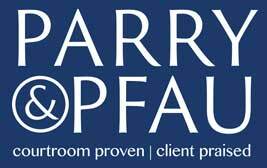 If you or someone you know has suffered an intrusion or invasion of privacy in Nevada, or suffered any other type of personal injury, contact the experienced Nevada attorneys at Parry & Pfau. We will fight hard to seek the compensation you deserve. Call us at (702) 213-7379 today to schedule your free, initial, case evaluation.